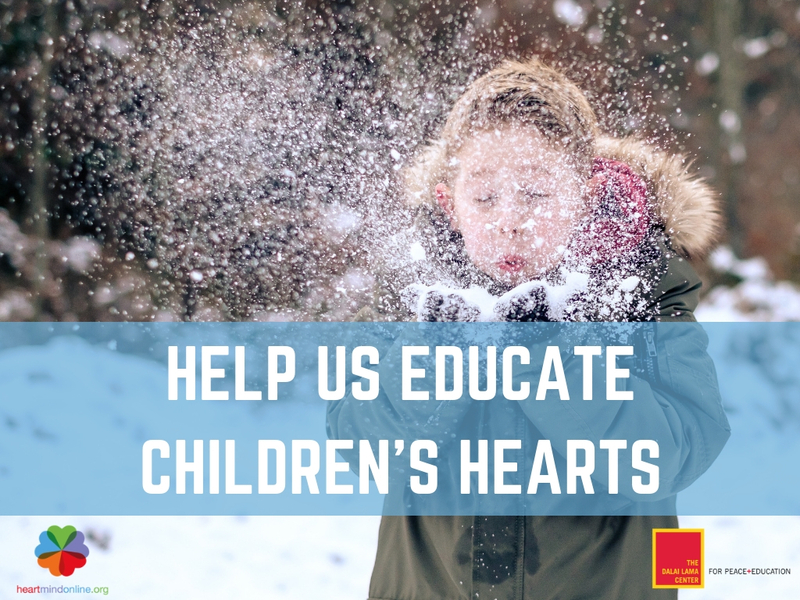 Help Us Continue To Educate The Hearts Of Children In 2019! This year the Dalai Lama Center reached over 38,000 children through our various workshops, Heart-Mind Conference and website Heart-Mind Online. We know that Heart-Mind Well-Being is foundational to children's development...... it increases their academic achievement, their physical and their mental health. Become a Monthly Donor today, and give the gift of well-being this holiday season. A monthly gift of $20 will make a significant investment in our children, and our future. Whether you make a monthly donation or a one-time gift, you will be helping to inspire families, schools and communities to create conditions in which children's hearts flourish.